Alright everybody, I've been overloaded with work and college but I'm going into exam week meaning the closer I am to having free time. My spring break will mean more time to add stuff to DS. I have several plans in the works including a new catalogue addition based on earning Diamonds and a new contest. I'd like to keep the upcoming contest a surprise but it will definitely be something that has never been done before and will have some major perks. 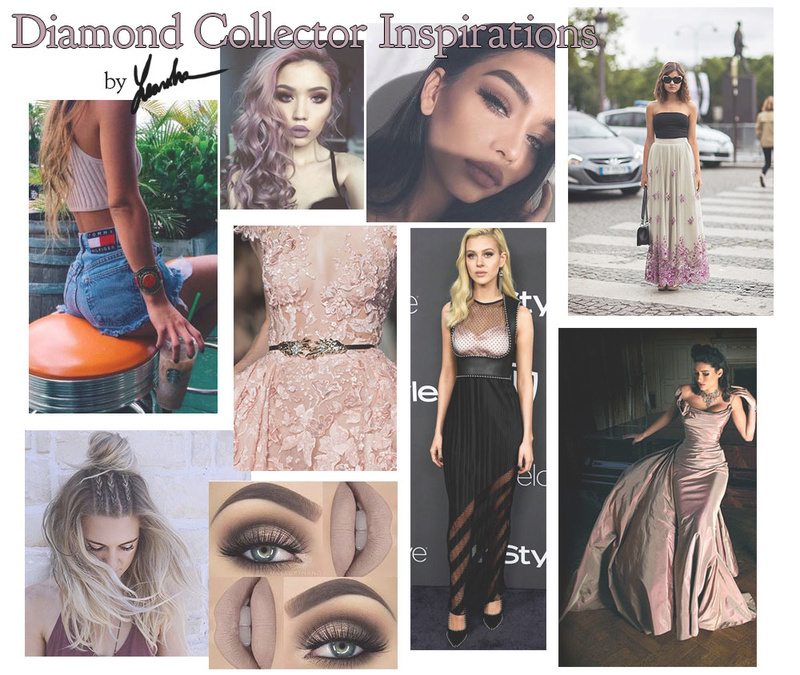 I'm sure you're all itching for a peek at what will be updated so here is a look at one of the inspiration boards for the diamond based catalogue additions which you'll be able to earn and purchase soon! Whatever it may take to get more people active on here, then I'm in, even if it means I can't afford anything in the catalogue. I can't wait! Just a quick update, I've been working on the new fashions for the catalogue now. I already have one of the main dresses finished! People need to add more to the site to get more diamonds for this. @ArtisticBiscuit I'm hoping that giving diamonds more meaning and worth will help encourage members to try to post so that they can earn them. The ultimate goal is to get everyone more active by posting and liking eachother's posts! New designs in the catalog would be great!